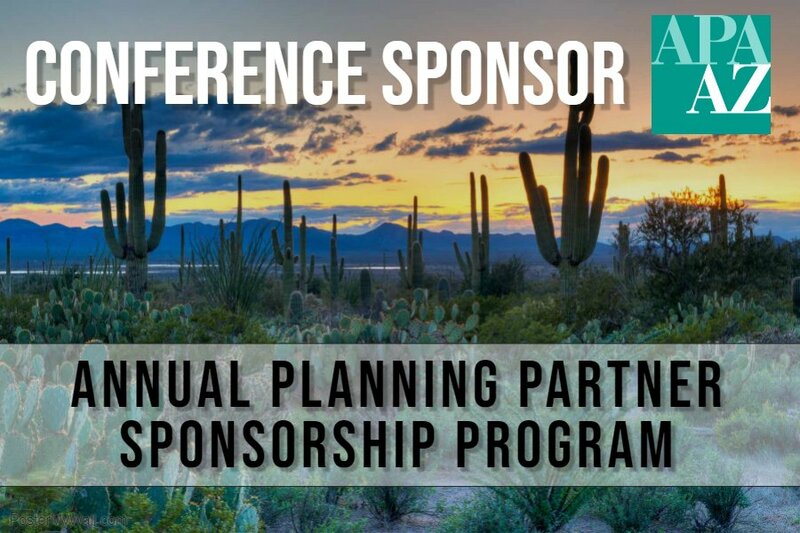 Book Your Room for APA Arizona's 2019 Conference! Book your hotel room before it's too late! APA Arizona's block of rooms will sell out fast. There is one other hotel nearby, but all others are at least several miles away. Don't delay - book today! Book Your Room at Hilton El Conquistador! 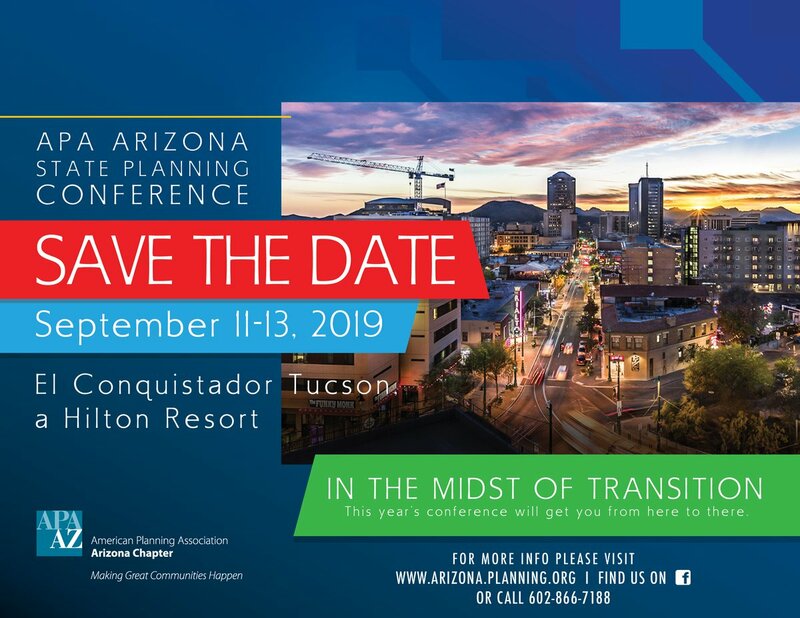 We know you are busy working on that interesting project, but you have to have time to share the great work you are doing with other planners at the conference this fall! Planners from around the state will gather in Oro Valley from September 11-13 to learn the latest in planning. Your firm, agency or department deserves the attention it will receive by presenting at the conference. This year’s conference theme is “In the Midst of Transition.” Your session submittals will be utilized to help develop the tracks. Take a few minutes to complete the session submittal form and email it to info@azplanning.org. We also welcome submittals for extended ‘Deep Dive’ sessions that explore specific topics more thoroughly. Your session proposals will help make this a successful conference! Please complete and submit the form in Word so that it is legible and we have the ability to copy and paste your content as necessary.